Almond butter is a healthy and delicious spread that can be eaten plain, on bread, crackers, apples, or on anything else you desire. Making almond butter might seem like a big task, but it’s actually pretty simple, and you can even do it at home. All you need is almonds, salt, a blender, and a bit of persistence, and you will wind up with a delicious, smooth nut spread. Almond butter offers so many dietary advantages such as protein, fiber, healthy fat, and other nutrients. The best way to make almond butter is to purchase raw almonds and roast them yourself. We recommend roasting the almonds because it is easier to grind and mix the warm almonds, and the flavor will also reflect the small amount of extra effort. Cooking the almonds takes just ten minutes anyway, and the difference in flavor will make it completely worth is. 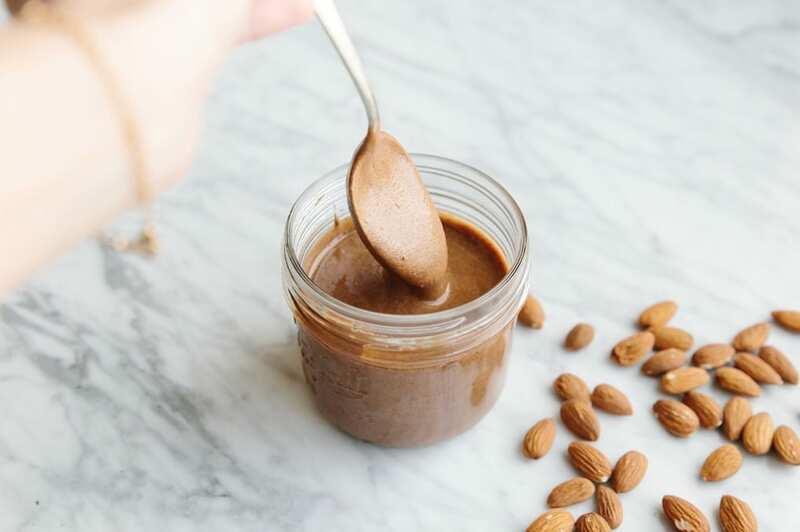 Making almond butter at home is rewarding, and you’ll save a bit of money too, since purchasing raw almonds is cheaper than buying a big jar of almond spread. It’s easy, and you’ll soon be bragging about your nutty spread to all of your friends. The following recipe yields about 16 oz. of almond spread, which is around the equivalent of a standard, store bought jar. Just gather the following ingredients and a trusty blender and get started! Preheat the oven to 350° F. Place almonds on a solid, rimmed baking sheet, spreading evenly, and roast the almonds for ten minutes, stirring halfway through to make sure they roast evenly. Let the almonds cool for several minutes so that they are warm and not too hot. This will take around 10 minutes. Transfer the almonds to a fast blender or food processor. Blend the almonds until they get rich and creamy, stopping to scrape down the sides. It may seem at first like it will never fully mix, but be patient. The almonds will go from flour-like clusters to a ball against the side of the food processor. Finally, if you keep blending, the contents will even out and become smooth. When the almond spread is as smooth as you want it, you can mix in any add-ins you might desire. We generally include salt for more flavor. You can also include cinnamon for a trace of zest, vanilla, or even maple syrup for a slightly sweeter almond butter. Continue to mix until the add-ins are evenly distributed. 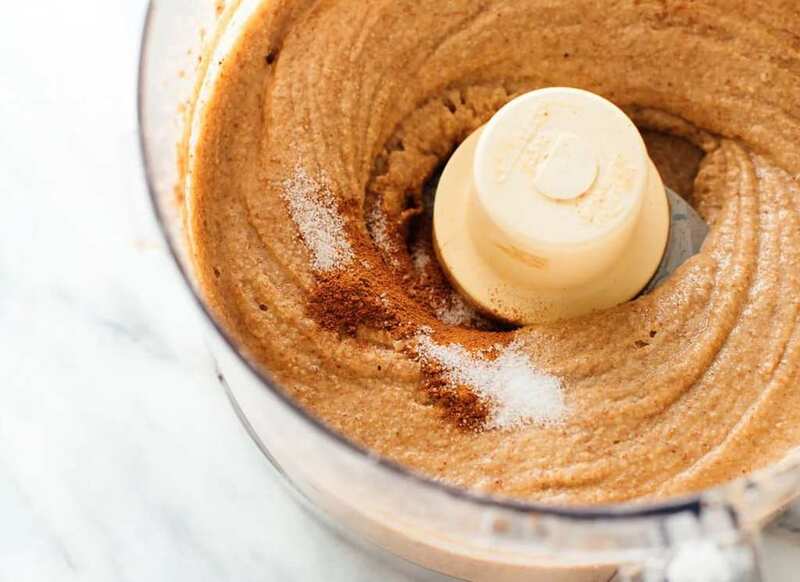 If the blender starts to heat up, stop for a few minutes to let it cool off before continuing to blend your almond butter. Once you’ve achieved your desired level of creaminess, give the almond butter a chance to cool to room temperature. You probably want to taste a spoonful at this point. Then, transfer it to a jar and cover it. Your homemade almond butter can be stored in the refrigerator for up to 14 days.